After decades of economic, political and social turmoil, Colombia is beginning to show signs of recovery. Now regarded as South America’s fourth largest economy, it is also projected to grow by circa 3 percent over the next year, according to the Organisation for Economic Cooperation and Development (OECD), as a combination of lower interest rates, stronger infrastructure spending and higher oil prices boosts investment. While the forecasted rise seems modest, it represents a huge achievement for a country that was until recently more famous for narcotics and sky-high crime rates than for its prudent fiscal policies. It’s also evidence that the civil outlook has changed for Colombia, with internecine squabbling among its government and opposition parties giving way to a more stable rule of law and an increased focus on globalisation via free trade and foreign investment. In fact, FDI grew to a record $14.5bn in 2017. Exports are a key ingredient in Colombia’s regeneration: the traditional focus on mining and energy sectors, as well as trade in coffee, flowers, and bananas, has been recalibrated to nurture growth areas including agro-food, IT and tourism. As a case in point, Colombia has begun offering tax incentives for IT startups, enabling the development of a $6.8bn industry employing thousands of people. The economic progress comes after decades of decline which have their roots in an armed conflict that can be traced back to the 1940s. Clashes between government forces, armed activists and drug lords have done untold damage to the country and its citizens in the intervening years. However, after a treaty was signed in 2016 between then-president Santos and FARC guerrillas, violence has de-escalated and economic growth re-started. Colombia has had much to overcome in its bid to establish a modern economy. As the world’s largest producer of cocaine, it has spent 30 years or so trying to tackle warring drugs cartels who’ve regarded the despoliation of natural resources and the decimation of communities as acceptable collateral damage. A new president – Iván Duque – was elected to office last year and has pledged to reduce coca production significantly. But coca-leaf growers claim that in order to effect real and lasting change, there will need to be renewed efforts help farmers plant substitutes like cacao and coffee rather than expending resources on destroying illicit crops. Greater investment the rural road infrastructure will also be essential if farmers are to be able to transport and sell alternative crops. In those regions the government’s programs are being properly implemented, communities are already seeing successes. Colombia may now be regarded as one of the most stable economies in South America, thanks to emerging industries and reductions in narco-traffic and crimes, but it still faces many challenges – not least the influx of more than a million refugees from neighbouring Venezuela. The new president is also under pressure from citizens who feel he hasn’t achieved enough in the first few months in office and who are hungry for more and faster reforms. The OECD believes that Colombia needs to fast-track its transformation, reducing its reliance on natural resources and increasing productivity if it is to stand a chance of catching up to more advanced economies. Greater investment in innovation is essential (R&D only accounts for 0.25 percent of GDP currently), together with increased financing for regional development. A consultative process is underway to assess priorities for increasing exports and productivity in all regions. As global oil prices continue to slump, it’s clear that any economic model that relies heavily on oil assets is facing an uncertain future. Colombia is at a ‘turning point’ according to the IMF; if it can kick-start infrastructure and transport projects, regulate the labour market and reduce barriers to international trade, Colombia could exceed economic forecasts and create more high-quality jobs. Diversification is a key goal to ensure greater stability with less volatility. Although more challenges lie ahead, a more favourable global market, combined with tighter fiscal policies, leaves Colombia well placed for even greater gains in 2019. When it comes to the march of technology, the accepted narrative ranks Silicon Valley at the forefront of discovery and innovation, while relegating China to the subsidiary role of mass fulfilment. It’s a view that’s supported by the operational companies like Apple, whose Cupertino campus incorporates the R&D base that allows it to badge products with the ‘designed in California’ legend, while delegating the assembly of the majority of its iPhones to Foxconn’s vast Shenzhen manufacturing plant. In many ways, artificial intelligence (AI) has followed the same trajectory, with the people at the cutting edge of research all operating from North America. But while the US is leading the field in AI advancement, China is way ahead in terms of its practical implementation – which plays to the country’s strengths in data gathering, as well as in the quality, speed and execution of manufacturing. Industry expert Kai-Fu Lee has recently written about this topic at length, somewhat controversially predicting that it will be the companies who are able to use AI’s deep learning and pattern recognition powers to make viable products that will triumph – not those who are driving the initial breakthroughs. It’s easy to see why China has a lot of success in bringing tech to market with speed and efficiency. 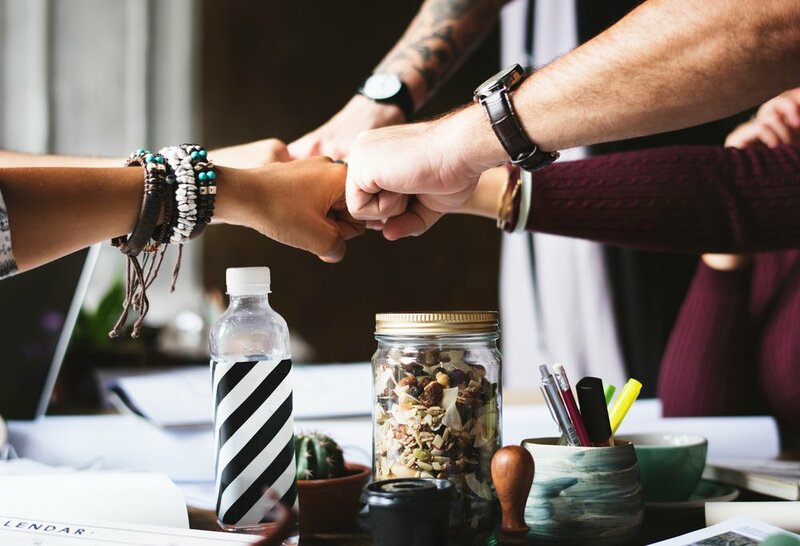 It has a huge domestic market and a business climate that encourages the kind of willing-to-fail behaviour that is essential for a healthy start-up culture. Kai-Fu uses ride-sharing as an example of China’s approach to market-making, outlining the rapid exploration of a number of ride-share concepts from bicycles to concrete mixers which quickly – and, some would argue, inevitably – led to the creation of companies including successful unicorn, Mobike. The so-called ‘fail fast’ approach in which prototypes are developed and adapted to suit commercial ideas – all the while accepting that the price of success will necessarily be a bunch of failures along the way – makes it simply more likely that successful businesses will ultimately emerge. So, while a particular technology – face-recognition, for instance – might be flagged as the basis for hundreds of applications, it only needs to hit the mark with one to become a billion-dollar solution. And, rather than being a hindrance to progress, the fierce competition that is part and parcel of the Chinese business ethos fuels the speed of development even further. In China, the early adoption of new technologies isn’t confined to a small percentage of savvy users, in fact the swift and widespread acceptance of the latest developments means that tech companies usually find a willing market for their ideas. This approach is evidenced by the population’s widespread transition to mobile payments over the last few years which is rapidly replacing other payment forms to become the dominant tool. Naturally, the size and scale of China’s domestic market makes it more cost-effective for tech providers to address. But it also offers a rich source of data that allows AI engineers to inform and improve their solutions. Whereas the US may be squeamish about the privacy issues that go hand in hand with data mining, China has no such compunction. If the big shifts in the practical application of AI can be attributed to having access to massive amounts of data, China already has the advantage by dint of the fact that it is – according to The Economist– ‘the Saudi Arabia of data’. China’s AI developers also benefit from a deep well of government support. This isn’t simply about taking a protectionist approach that subsidises Chinese operations at the expense of foreign competitors. It’s also about creating an environment that provides a fertile growing medium for business – from the cities and roads that are primed for tech upgrades, to the low-regulation policies that enable new and unproven tech to enjoy a frictionless launch without getting bogged down in bureaucracy. The government has also invested heavily in research at China’s universities, increasing funding each year as it prioritises science and tech advancement. Beijing continues to launch wave after wave of AI initiatives in a bid to boost an industry that is estimated to be worth north of $150bn over the next decade or so. China has committed more than $2bn to build an AI technology park in West Beijing that will house more than 400 companies and provide a platform for research and development. Meanwhile, China’s tech giants – including Baidu and Tencent – are investing heavily in AI; Alibaba recently announced plans to earmark $15bn to build international labs focused on quantum computing and AI. Time was when China’s tech engineers would have headed for Silicon Valley to pursue their careers, whereas now there are increasing incentives for them to stay at home and transform China’s own AI industry. It’s an exciting time for China’s techpreneurs and for MBA students and executives looking to learn from practices at the cutting edge of the AI industry. 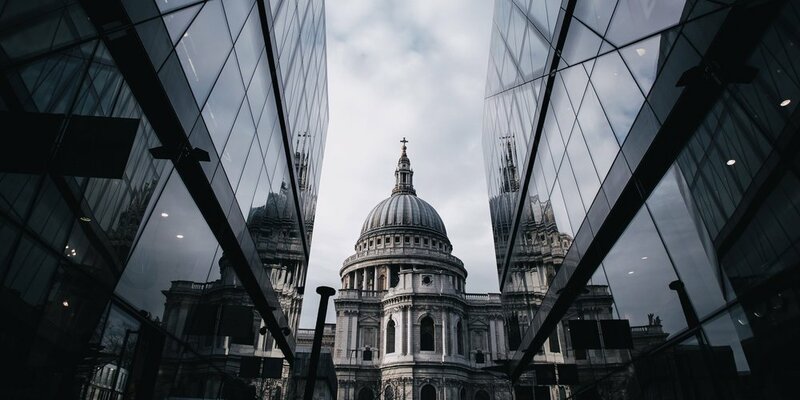 There are lots of reasons why London remains the beating heart of Europe’s tech startup universe, despite the UK’s current political turmoil. Because of its shared language, the city is the first port of call for US companies looking to expand into the EU, while its long-standing reputation as a centre for finance makes it a shoo-in for fin-tech startups who want to leverage its considerable know-how. Add to the equation dozens of universities, ready access to investments and the inevitable cross-pollination of entrepreneurial ideas, and you have a recipe for startup success. The number of new technology companies launched in the UK last year rose by almost 60 percent, with London’s tech businesses accounting for more than 80 percent of all venture capital (VC) funding invested in the country over the last two years – a total of £5bn, according to figures from London & Partners. That’s significantly more than the UK’s closest European rivals France (£1.55bn) and Germany (£2.15bn). With Shoreditch and Hoxton at the epicentre of tech-driven growth, this area of East London has changed hugely in recent years. The once run-down neighbourhood has undergone a process of tech-fuelled gentrification that’s created plenty of employment opportunities for techies and non-techies alike. Naturally, it’s a transformation that’s come with a price: rents in both residential and commerce sectors have skyrocketed, making it more difficult for new businesses to be part of the area’s thriving creative community. Thankfully, the emergence of tech-focused co-working spaces, like TechHub, has enabled even the smallest startups to benefit from the Shoreditch buzz. The co-working formula not only means that means startups have an affordable way of basing their businesses in London but can also tap into the talent, networks and growth opportunities that proliferate in the capital. It also mitigates the risk to businesses of trying to succeed without ready access to tech-focused resources. Tech companies do succeed outside London – but, they’re likely to have to work far harder. Tech unicorns are thriving in London – in fact, there are more billion-dollar private companies in the UK than in any other European state, boasting a combined valuation of $23bn, with London alone producing 36 unicorns. From its London base, ecommerce start-up Farfetch has turned online luxury fashion retail on its head. Fashionistas can buy from its designer collection in over 190 countries and the word on the grapevine is that the company will soon be going public in New York, with a valuation of $5 billion. Fintech challenger bank Revolut is now valued at £1.2 billion, while Farringdon-based virtual world creator Improbable hit the headlines last year when it received more than half-a-billion dollars in funding – the largest investment made in a European tech firm. London startups also have access to accelerator programs that provide education, mentoring and financing opportunities to promote rapid growth via immersive partnerships: accelerators like Seedcamp support hundreds of businesses a year. Away from the boardroom, London has much to offer its visitors. The capital’s many museums have free permanent exhibitions: South Kensington’s Natural History Museum, Science Museum and V&A are all within a short walking distance of each other and make for a splendid day-long visit. Art lovers will want to make a beeline for the National Gallery, National Portrait Gallery and Tate Modern which together house some of the greatest paintings in the world. London is famous for its shopping: Oxford Street makes a good starting point but for high-end fashion, head for New Bond Street and Regent Street. Pedestrianised Covent Garden has a good selection of smaller, independent stores and boutiques. A West End theatre show is a popular choice for an evening’s entertainment. Visitors can choose from a bewildering array of top shows at some of the most famous venues in the world. The Mousetrap by Agatha Christie is currently staged at St Martin’s theatre and is the longest-running show in the world. Restaurants in the area often offer pre- and post-theatre menus. In recent years, Sub-Saharan Africa has become the world's second fastest growing region. It trails closely behind Asia's emerging economies. A burgeoning telecommunications sector, with increased internet and mobile phone use, has attracted a high level of foreign direct investment to the region. To a lesser but noticeable extent, growth in financial services and manufacturing is also solidifying Africa's status as a place to watch. According to the latest World Bank report, Africa’s growth is predicted to continue to rise to 3.2 percent by the end of 2018 and to a further 3.7 by 2020. Which countries are currently taking the lead in Africa's development? This article looks into five of the continent's rising stars. Traditionally, Nigeria is Africa's largest oil producer, producing almost 2 million barrels per day. This production, plus high levels of oil exports around the globe, provides Nigeria with a large amount of revenue. However, Nigeria's economy is now very diversified and includes several non-oil and services sectors such as agriculture, banking and IT. According to the World Bank, the services sectors will largely contribute to predicted GDP growth of 2 percent this year. Nigeria's positive prospects are a stark contrast to the painful recession the country was in only a couple of years ago. Nigeria is not completely out of the woods yet though. It faces high population growth which outpaces economic growth, and it is plagued by government corruption. Fortunately, Nigeria's growing young middle class population will hold it in good stead for the future. If officials are able to improve infrastructure and continue to invest highly in education, Nigeria should be able to constrict population growth and further reduce poverty. Ethiopia is one of Africa's most rapidly developing countries. The International Monetary Fund has predicted that Ethiopia's GDP will expand 8.5 percent this year. But unlike Nigeria's recent upturn, the Ethiopian economy has been on an upwards trajectory for a while. Growth has averaged 10 percent in the last decade. Government investment in infrastructure, namely large-scale railway, skyscraper and dam projects, is said to be a key driver of this growth. Ethiopia's potential is such that experts have dubbed it the "New China". Low wages have made the country Africa's fast fashion capital, with brands like H&M, Guess and several Chinese clothing retailers opening production facilities there. Plus, a recent privatization push means that Ethiopia will likely attract increasingly more foreign investment over the coming years. Once hampered by hunger and poverty due to military coups, Ghana is now one of Africa's fastest growing and politically stable economies. Its projected growth in 2018 is between 8.3 and 8.9 percent. The Ghanaian GDP is largely concentrated on commodities, with gold, oil and cocoa making up three quarters of its total exports. However, Ghana's economy is becoming increasingly technology oriented, and its telecoms industry has been driving significant growth. There are over 35 million mobile phone subscriptions, making the West African gem one of Africa's largest mobile markets. This widespread technology adoption, alongside Ghana's strong education system, has made Ghana attractive to outside investors like Google. The tech giant has just made plans to open Africa's first artificial intelligence research centre in Accra, Ghana's capital. Plus, with the recent launch of the Ghana Tech Summit, a yearly conference bringing together Africa's best in tech, the country's innovation potential couldn't look better. Kenya is another African economy which has made strides in making useful technology accessible to the masses. The lower income country is best known as an attractive safari destination, investing substantially in preserving its wildlife which contributes around 14 percent of its GDP. However, tourism is not the only industry driving Kenya's growth. Mobile phone use is growing exponentially - shipments of the devices grew by 7.9 percent in Q3 2018. And as a country with limited access to internet, Kenya has surely innovated with its use of the SMS-based mobile payments system M-Pesa. M-Pesa allows citizens to send small payments, make international transfers, take out loans, and invest in their healthcare - all via text message. This is especially beneficial to Kenya's growing number of small businesses, which now find it easier than ever to make transactions. The slightly lesser known Benin also has significant growth potential. The country benefits from a young population - almost 65 percent of its citizens are under the age of 25. However, many of its young citizens are unemployed as there are few opportunities in Benin. In fact, 40 percent of Beninese nationals live abroad. So why is this country, dubbed of the world's poorest, on this list of African rising stars? It's leaders have big plans for its future. Benin is currently executing its 2016-2021 plan (also known as ‘Benin Revealed’) which leaders say will improve public investments, especially in sectors like tourism, infrastructure, services and agriculture. Bengaluru (Bangalore) can rightly claim to be the birthplace of India’s booming IT industry. Back in the 1970s, an area of lush farmland was identified by the government as the possible location for an ‘electronic city’; by 1983 two fledgling tech startups – Infosys and Wipro – had established their headquarters in Bengaluru. More ambitious tech companies followed, growing their businesses around the rapidly expanding international outsourcing model. Fast forward to 2018 and this city of 8.7 million has a GDP of approximately $45 billion, with a startup ecosystem valued at $19 billion. Multinationals like Amazon, Qualcomm and Cisco have also moved into Bengaluru, driving innovation and leveraging their experience to set up startup accelerators that are, in turn, pushing the boundaries of technological advancement. Named by the World Economic Forum (WEF) in 2017 as the world’s most dynamic city, Bengaluru was also recently flagged as the number one tech choice in the Colliers International research report ‘Top Locations in Asia: Technology sector’, thanks to its impressive talent pool, low staffing costs and affordable rents. The report predicts that Bengaluru will become the fastest-growing city in Asia over the next five-to-ten years. The tech sector in India now employs around 10 million people and accounts for almost $85bn worth of exports every year – almost 40 percent of the country’s IT industry is situated in Bengaluru. The city’s greatest strength undoubtedly lies in its skilled workforce. Indian engineers are highly sought after all over the world; many travel abroad to gain experience in tech hubs like Silicon Valley before returning home to apply their expertise in grass-roots startups. Currently, the bulk of tech companies are still generating big revenues from back-office and outsourcing services. But, that too is changing as firms inch up the value chain, reframing their proposition as they go and evolving the ideas and talent needed to tempt global research and development organisations to settle here. Bengaluru’s growing dominance as an innovation hub has helped it to shake off its earlier reputation as a cut-price software factory. For sure, the availability of a low-cost, highly skilled workforce still draws international investment but home-grown startups are also now attracting inward investment. The majority of startups in India – 28 percent – are based in Bengaluru, thanks in part to its historical ties with Silicon Valley. The city has been the origin of some of the biggest and most successful Indian startups of the past decade, including online marketplace Flipkart and ride-sharing app Ola. Bengaluru-based logistics app, Dunzo, is a great example of Indian entrepreneurialism: it started life as a WhatsApp group and has recently attracted a multi-million-dollar investment from Google. A number of government initiatives exist to support Bengaluru’s tech scene. Narendra Modi’s Startup India scheme offers seed funding and tax breaks for new businesses, while not-for-profit programme 10,000 Startups focuses on matching startups with funders, incubators and mentors, with the stated aim of building 10,000 new businesses in the city by 2024. What does the future hold for Bengaluru? It’s clear to see that not only is technology flourishing in India but that it’s being boosted by massive inward investment. With its vast market, South Asia is a key part of the expansion strategy of tech giants like Apple and Google – Walmart has already committed $16bn to acquiring a major stake in Amazon rival Flipkart. Bengaluru is well placed to ride the entrepreneurial wave – it may lack the baked-in expertise of some of the more established tech hubs but it’s gaining ground, especially in emerging technologies and Big Data. The oft-maligned tech infrastructure is also gradually being upgraded – thanks in part to India’s richest citizen, Mukesh Ambani, who invested tens of billions of dollars in a super-fast nationwide 4G network. There are hurdles to overcome, though. The city’s physical infrastructure – roads, water and power supplies – hasn’t kept pace with its rapid population growth and its green spaces are being eroded. Bengaluru’s tech scene also struggles with gender equality; a mere 2% of all equity funding raised in 2017 went to startups with a female founder. But some of these challenges are prompting innovative solutions: for instance, a thousand teams were involved in last year’s ‘hackathon’ to create new responses to the city’s traffic problems. Bengaluru currently ranks 19th on the global list of the top 25 high-tech cities in the world. If it capitalises on its potential, it could well climb to the very top. When it comes to inspiring out-of-the-box business ideas, we typically think of places like San Francisco's Silicon Valley or, in Asia, high-tech Tokyo and Singapore. But Asia has other promising countries with the potential for leading the way in launching brand new products, services and business models. This article takes a look at three lesser known innovation cities on the global index. Strengths in manufacturing and reformed economic policies have developed Shenzhen into an innovation powerhouse dubbed the 'Silicon Valley of Hardware'. Once a small fishing village, Shenzhen is now home to some of China's biggest tech firms. There's Huawei which makes telecoms equipment, social media platform Tencent and search engine Baidu. You might wonder what makes Shenzhen such a target location for techies. The answer is likely in its vastly affordable electronic components. Engineers use hardware parts bought in bulk to make prototypes very quickly, making this exciting Chinese metropolis an startup's paradise. Despite a notoriously risk averse society, India's population is able to thrive creatively. Many of the world's top CEOs including Google's Sundar Pichai and Microsoft's Satya Nadella are of Indian descent. India's culture of networking and mentorship, excellence in IT and pool of ripe talent makes it a fitting location for budding entrepreneurs. Bangalore, or Bengaluru, is India's innovation HQ. The capital is the world's second fastest growing startup ecosystem, with over 100 new businesses registered every day. The top industries for Bangalore startups include fintech, healthcare and energy. Ho Chi Minh City (formerly Saigon) is a Vietnamese city with a new name and newer ambitions. Vietnam's largest economic hub, Ho Chi Minh City is characterised by a high quality labour force, frequent skyscraper builds and millions of motorbikes. Leaders' efforts have been focused on transforming the fast-paced city into Vietnam's innovation centre. The government has invested in research, HR training, manufacturing and even entertainment innovations. It's definitely worth paying attention to the future of this high-energy location. Weekly Rundown - Do Open Offices Really Foster Collaboration? DO OPEN OFFICES REALLY FOSTER COLLABORATION? With our global network of leading firms, Legacy Ventures designs and implements short consultancy projects where MBA participants and executives can test theories, frameworks and concepts in a practical context. Learn more about what we have to offer your business school or organisation here. For MBA students and consultants, choosing a place for a consulting project can be tricky. It needs to be a location with strong economic growth, practical business themes and a great cultural scene to explore during that much needed downtime. The following destinations are defined by those factors and more. With its picturesque green fields and long-distance mountain trails, Dublin doesn't immediately seem like the location to work on a challenging business project. But Dublin's "Silicon Docks" are home to around 2,000 startups, with products that range from whisky to mobile payments. Plus, many of the top 10 technology pioneers like Google, LinkedIn, and Twitter have chosen Dublin as their European HQ - and its easy to see why. With Brexit looming, Dublin represents a secure hub for European talent, and the companies who want to hold onto theirs. A second tech hub attracting entrepreneurs and investors from all over the world is Berlin. It’s estimated that a startup business is being founded in Berlin every twenty minutes, and this is understandable given its low cost of living and young population. The German capital is behind several startup success stories like SoundCloud and Hello Fresh. Anyone who wants to learn how to build a business from the ground up should make sure to pay Berlin a visit. Stockholm is modern, open and enterprise friendly, taking a sustainable approach to business. The Swedish capital, and nearby Uppsala, provide opportunities to work on many promising commercial life science projects. There's also a thriving creative scene. But Sweden has a history rooted in manufacturing, and its many recent ICT startup launches have boosted the city's production prowess. Professionals interested in finance will obviously find London a valuable destination. It's weathered political uncertainty to maintain its status as the world's top financial centre. Rising consultants could work on anything from digital transformation to risk management projects for the world's top banks and accountancy firms. Outside of the city centre, the East London tech hub provides projects for those interested in delving into the world of entrepreneurship at a startup or accelerator. New York is another destination which is renowned for its financial focus. It's home to many top investment banks including Goldman Sachs and Morgan Stanley. But with a large population of 9 million, there is high demand for healthcare, education and professional services. New York's varied economy supplies a range of options for management consultants. Manhattan is famous for its high-end fashion retailers, and many of the stores could use a team of driven analysts to help them go omni-channel. For consultants willing to splash out for some solid experience, Switzerland is the location. It's more expensive to live in than most of the other European countries. But working in Switzerland is an investment that's very likely to pay off. 15 of the Fortune 500 companies are headquartered there, including Nestle and pharmaceutical giant Novartis. Perfect for those seeking experience in operations management! 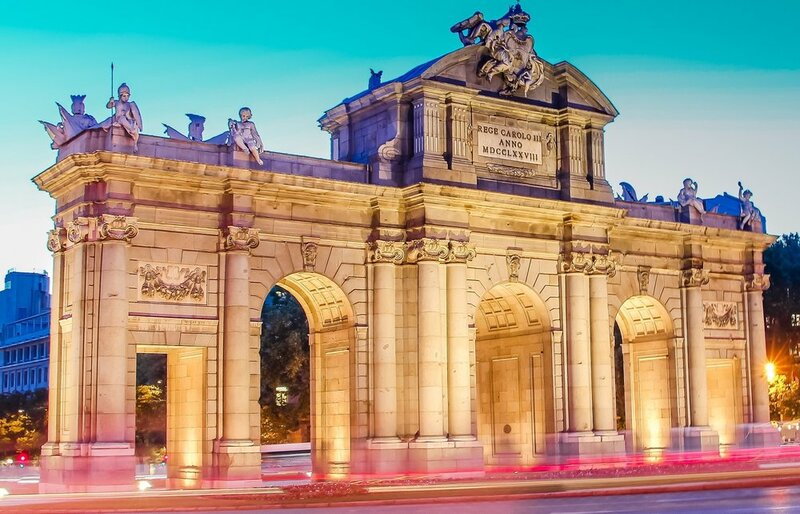 Spain’s hub of finance, government and transportation, Madrid has historically cultivated a large art scene as well as several industrial facilities. In recent years, Madrid has developed a culture of innovation, with consulting firm EY making it the home of its Big Data in Finance centre in 2015. There's a lot to discover in Madrid about the new business models that are driving organisations forward. Reykjavik is a popular travel destination, with over 2 million tourists seeking out its volcanoes and hot springs in 2017. Unsurprisingly, popular consulting projects could involve determining strategic options for ground transportation or tourism firms. But Iceland is not all travel. It's the world's largest electricity producer per capita, with power and energy opportunities galore. A strong manufacturing, tourism and tech presence dominate Kenya’s capital city with Nairobi serving as the base for a host of multinational headquarters in Africa, including big-name brands Google and Coca-Cola. It's common to see skyscrapers juxtaposed with the zebras and giraffes at Nairobi's national park. The wildlife is great fun for consultants to visit during free time. Last but definitely not least, Turkey has the best of the East and the West. It's an important bridge between Europe and Asia, with an economy driven by travel and tourism, automotive manufacturing, textiles, agriculture and construction. With over 60 VC incubators, Turkey is also a smart choice for people who aspire to consult for startups. Plus, with a cost over living lower than the rest of Europe, its ideal for longer projects that involve drawn out, in-depth analysis. Portugal is currently blazing a trail as home to one of Europe’s leading startup ecosystems – a position that is nothing short of remarkable, considering how badly affected the country was by the global financial crisis of 2008. Over the last decade, Lisbon has worked hard to rebuild its economy by creating an infrastructure fine-tuned to the needs of new businesses, especially in the fast-moving tech sector. It’s a mark of Lisbon’s success that the city was chosen – for the second consecutive year – to host the world’s de facto annual tech conference, Web Summit in November. Lisbon’s renaissance is due, in large part to the commitment of Portugal’s young graduates, many of whom have returned from working abroad during the lean years to launch their own companies, at the same time generating fresh creative energy in one of the coolest capitals in Europe. This groundswell of grass-roots activity has been matched by the support of the Portuguese government which has acted decisively to inject investment into schemes designed to repurpose derelict buildings as tech hubs and business centres. The programme of urban regeneration has already served to stimulate business growth and create more jobs – it’s a simple, yet successful, strategy that’s giving Lisbon a leg-up on the world stage. Helped by a programme of accelerator funding, tech incubators and flexible coworking spaces are emerging across Lisbon. Two years ago, the government created a national network of tech hubs and startups via a bold initiative that offered hundreds of entrepreneurs the opportunity to pursue their projects via a twelve-month fellowship. The network is supported by incubators including Startup Lisboa and Labs Lisboa, as well as accelerators such as EIT InnoEnergy – this on top of a €200m venture capital fund set up by the government to tempt overseas start-ups to the capital. As a result, Lisbon feels newly energized. A system of grants is also sympathetically transforming the historic heart of the city, with plans to turn a former army food factory into a vast startup campus – Hub Criativo Beato – now well advanced. Portugal’s residency programme is key to inward investment, as it not only offers entrepreneurs the freedom to live and work in Portugal – and to travel between EU states – but also opens up a deeper talent pool for employers. The country has a highly educated indigenous workforce and English is widely spoken – plus, around half of graduates have a degree in an engineering or maths-related discipline. Nevertheless, development costs remain competitive: a junior developer in Lisbon might cost a half or a third of a comparative resource in Germany or the UK, for instance. As real estate is also relatively inexpensive when compared to hotspots like Berlin or London, startups have more money available to spend on talent, while professionals can afford to live well. Put simply, Lisbon offers residents that most elusive of equations: a low cost of living with a high quality of life – which speaks to entrepreneurs and their employees in equal measure. Although Portugal’s tech scene is small when compared to other European countries, it’s definitely on an upward trajectory. According to Tech Crunch, venture capital investment in 2016 totalled €18.5 million – small potatoes for some, but a figure that represented a six-fold increase on the previous year. A report last year from Startup Europe Partnership shows that Portugal's startup ecosystem is now growing twice as fast as the European average. While other Portuguese cities like Porto have seen their share of startups, such as Veniam, Hype Labs and Knok, it’s Lisbon that’s got the momentum. Ecommerce platform Farfetch is Portugal’s biggest startup success so far, having raised more than $300m in VC from 15 investors, although other names to watch are Uniplaces student rentals, SaaS contact centre provider Talkdesk and independent app store Aptoide. Visitors enjoying a ride on the vintage wooden Tram 28 that meanders through Lisbon’s most characterful streets from Bairro Alto, via the shopping districts of Baixa and Chiado and past the exquisite churches and castles of Alfama and Graça, could be forgiven for thinking this was a city stuck in the past. But, in Lisbon, old and new exist in harmonious juxtaposition, celebrating the cultural history of the city, while championing the spirit of innovation that has made this westernmost capital such a fertile environment for business. It’s a trend that’s set to continue as Lisbon continues to hold its own on an international stage. Dubai: the world's smartest city by 2021? This city-state, famous for its shimmering towers, endless shopping malls and outlandish architectural projects, is built on oil money. Dubai is unique. Created to reflect the aspirations of the super-rich, its prosperity is evident in the scale of the ambitious developments that define its appeal, including the dramatic Burj Khalifa and Palm Island archipelagos. But as fossil fuels continue to fall out of favour and oil prices falter, Dubai has lost some of its economic brio, sparking a slowdown in its previously unstoppable building boom and casting doubt over the emirate’s future direction. Dubai’s rulers believe they have stumbled on a solution, reimagining the region as a vibrant startup economy that will help to sustain Dubai in a post-oil era. It’s a bold venture. California’s Silicon Valley is doubtless the inspiration for the move, but can Dubai’s monarchs hope to replicate the organic ground-up growth of the tech ecosystem in San Francisco by imposing a top-down infrastructure? Enter Dubai Future Accelerators (DFA), a government-led hub for entrepreneurs that is designed to incubate state innovation. The dozen or so government organisations – including big-hitters like Emirates Airlines – have the opportunity to pick startups with the potential to deliver additional commercial advantages. In return, the startups get access to the tools they need to grow, including free office space, accommodation and government-sponsored training. Hyperloop One is an early success story but it’s not an outlier; around three-quarters of the 65 startups that have completed the program have signed up to future DFA collaboration. It’s a model that differs from most US programs, but early indicators show positive signs of growth, with a 45 percent increase in equity-funded private startups and startup investment passing $1 billion in the UAE for 2016. The government has also set up a ‘free zone’ – the Dubai Multi Commodities Center (DMCC) - in which foreign-owned companies can operate without the added burden of taxes and fees. 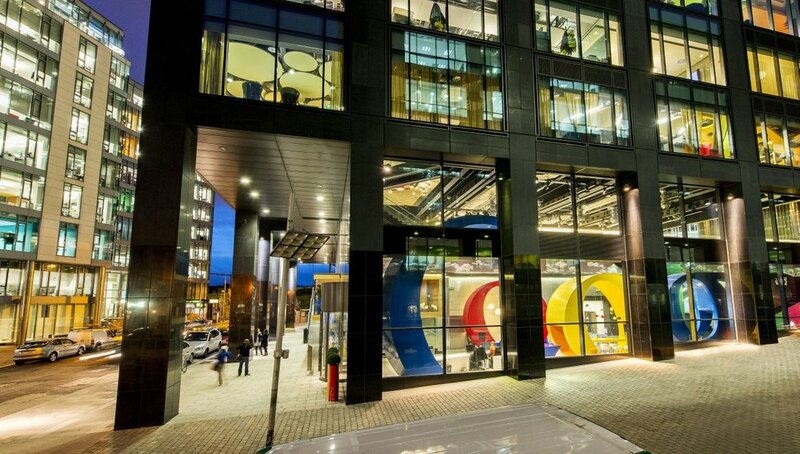 Google-partner AstroLabs is a tech hub for entrepreneurs located in the Jumeirah Lakes Towers, offering some of the most sought-after workspace in the world and hosting 100 companies representing dozens of countries – many of whom wouldn’t have the funds to prosper outside the DMCC. Dubai’s regulatory regime also has to be carefully negotiated by startups. Because the country’s attitude to debt is less liberal than it is in the US, companies offering venture capital (VC) are few and far between. Which means that home-grown unicorns are thin on the ground, although Uber-inspired transportation startup Careem has an estimated value of $1 billion, having benefited from funding from German automotive giant Daimler, among others. The Dubai approach to business is less formal and more relationship-led. Organisations such as AstroLabs and DFA, as well as global startup network 1776 are not only providing workspaces and training opportunities but also the opportunity to make valuable business connections that will enable them to unlock the resources that can fund growth. Dubai’s startup culture is still its infancy – especially compared to Silicon Valley – and with a much shallower pool of available investment capital. But, thanks to the government’s efforts, there is an emerging creative sector in a city that’s nurturing talent and moving in the right direction. Dubai is also beginning to attract the angel investors and VCs that are essential to sustaining startup momentum. The city also has some ambitious goals, such as having the first blockchain-powered administration in the world and becoming the world’s smartest city by 2021, not to mention the creation of a Martian colony within the next century. How achievable these projects are remains to be seen; meanwhile, improvements to Dubai's infrastructure continue apace. Scheduled for completion in 2021, Dubai Design District (D3) will form the epicentre of Dubai's creative community and act as a hub for artists, architects and designers, while technology, robotics and AI have already found a home at a new digital innovation centre in Dubai Internet City. Dubai offers plenty of opportunities to enjoy downtime. Situated next door to the Burj Khalifa is Burj Khalifa is the famous Dubai Mall. Created on a grand scale, the mall is home to more than 1,200 shops as well as 150 restaurants, an ice rink, aquarium and underwater zoo. If you want a flavour of old Dubai, it’s worth taking a trip along the Creek – the saltwater estuary that was an essential part of the city’s former economic strengths: fishing and pearl diving. The Dubai Museum is worth a visit, as are the winding souks where you can find gold, spices and textiles. A ride across the water on a traditional abra is a must. Even a day at the beach turns into a five-star experience in Dubai. Kite Beach is the perfect location for watersports skills, but if you want to stay in terra firma, you could cycle, skate or enjoy a game of volleyball. Alfresco cafes and restaurants line the beachfront and offer an outstanding view of the glorious Burj Al Arab. The rise of China's power in the last decade has been astonishing. China clearly wants to be seen as the new champion of globalization and replace the U.S. in the leadership role for the new global economy. The country remains one of our most popular destinations for MBAs and one of the most difficult to understand to the western world. It is crucial that its role as a superpower in the world is now universally acknowledged and every business school should make a China global immersion integral to their MBA course. Over the last few decades, Shenzhen has experienced an economic transformation that is nothing short of remarkable. In the 1980s, the area was largely agricultural, a landscape of rice paddies punctuated by rural villages. Today, around 12 million people reside here and it’s estimated that circa 90% of the world’s electronics are made here – Apple contractor Foxconn’s vast plant alone employs upwards of half-a-million people. No city, ever, has demonstrated such rapid expansion. Shenzhen is home to tens of thousands of factories and has become the go-to source for the design and manufacture of all things electronic – as typified by the city’s vast Huaqiangbei market. Savvy commentators are dubbing it the ‘new Silicon Valley’, with influential Forbes contributor Salvatore Babones coining a new phrase – ‘CaliChina’ - to communicate the powerful synergy of this trans-Pacific makers’ hub. The ideas might still be generated in California but this is where they take physical form. The draw of Shenzhen’s electronics ecosystem has seen the city blossom into a natural destination for giant high-tech companies and hungry startups alike, all hoping to benefit from the proliferation of electronics expertise at every stage of the commercial process. Tech newbies like smartphone company Huawei have seen their businesses grow rapidly, while established organisations such as Airbus are diversifying their operations to take advantage of the opportunities for growth and innovation here. In many ways, Shenzhen can align its rapid rise with the exponential growth of the mobile phone. Back in the early noughties, Nokia and Motorola were marketing phones that each retailed at hundreds of dollars. By contrast, Shenzhen’s manufacturers were able to produce similar models at vastly cheaper prices. Shenzhen now has a network of tens of thousands of factories – known as ‘shanzhai’ – that can mimic the design of popular electronics and manufacture them to a high standard. But business has moved on from simple copycat tech: eight of the top ten smartphone brands in the country — three out of the top six worldwide — are Chinese. Quality is high and because these businesses are agile, innovative and responsive they can quickly react to feedback or to market dynamics. Shenzhen’s strong supplier base and manufacturing reputation aren’t the only attractions for tech startups, though. The government is providing infrastructure support and there’s also an established network of crowdfunding platforms that helps to keep startup funds flowing. The Shenzhen Stock Exchange has a NASDAQ-style tech exchange that is designed to provide a startup exit opportunity. China is constantly looking to attract fresh grassroots innovation by creating workshops, offering cheap loans and sponsoring tech fairs. Accelerators, like Hax and Shenzhen Open Innovation Lab support innovators from around the world to consider Shenzhen as the obvious choice for their design and manufacturing base. And why not, when you can access all the tech talent and fabrication know-how you need to take an idea from proof-of-concept to prototype in a few short days? It’s the perfect business model for Kickstarters everywhere. 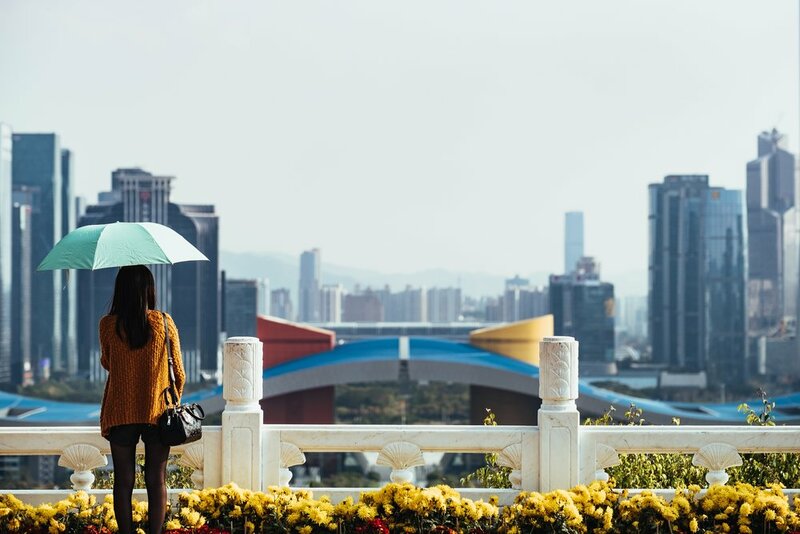 As one of China’s wealthiest cities – and an easy trip from neighbouring Hong Kong - Shenzhen is a vibrant metropolis, attracting a wide mix of visitors. The city now boasts a ‘maker space’, a design district, and an extraordinary offshoot of London’s V&A museum that occupies part of the ground floor of the new £146-million Sea World Culture and Arts Center in the city’s Shekou district. There are theme parks and speciality markets, as well as lots of shopping experiences. About an hour-and-a-half from Shenzhen is the Guanlan printmaking base. This 300-year-old village features quirky black-and-white houses that contain the workshops and galleries of printmaking artists from China and beyond. The Dapeng Fortress is a historic walled town to the east of Shenzhen that was prominent in the Opium Wars of the 19th century. Expect elegant mansions and ornate temples from the Ming and Qing dynasties. Cambodia and Vietnam are emerging as new economic powerhouses. These once war-torn countries are sloughing off the chains of their embattled history and gaining ground as two of the fastest-growing economies in Asia, attracting impressive inward investment and opening up fresh global markets. Vietnam is strategically located on the South China Sea stretching North to China, with Cambodia situated to the west along the Gulf of Thailand; both share land borders with each other and with neighbouring countries on the peninsula, including Laos. Manufacturing dominates the economic output in both regions, thanks to the preferential access it offers investors to large and developed markets via the Association of Southeast Asian Nations (ASEAN) Free Trade Area (AFTA). Cambodia’s garment manufacturing expertise puts it at the heart of an established global supply chain, with exports to the EU accounting for 40% of its output, closely followed by the Unites States at 30%. Major multinationals like Gap, Marks & Spencer and Uniqlo have long-standing relationships with contract manufacturers here. Concerted efforts by the Cambodian government in the 1990s helped to boost its manufacturing profile and promote overseas investment. Today, the garment industry still accounts for a significant percentage of Cambodia’s GDP and the majority of its exports. This so-called ‘Factory Asia’ economic growth model relies on low-cost labour to provide a competitive export proposition and has lifted millions of people out of poverty across Asia. But it’s not the only contributor to Cambodia’s growth. Services, finance, transport and communications are all driving investment and adding value to the country’s economy. Innovative ventures are also taking the plunge in Cambodia, like Phnom Penh-based brewer Kingdom Breweries. Vietnam is among the fastest-growing nations in the world, due mainly to its annual double-digit rises in manufacturing and exports. It ranks in eighth place in the World Bank’s ‘Ease of Doing Business’ rankings 2018 for the East Asia and Pacific region, and occupies fifth place among its fellow ASEAN countries. But it’s also becoming a magnet for savvy startups, largely as a result of Ho Chi Minh City’s young, vibrant population and entrepreneur community. The tourism sector is gaining traction and generating many new opportunities for further growth, too. Startup accelerator Mekong Innovative Startup Tourism (MIST) is providing much-needed mentorship to tourism companies across the region, with tourism tech leading the way. Ho Chi Minh is investing in a Vietnamese version of Silicon Valley. The Saigon Silicon City Centre is attracting investment from a group of high-tech sectors including micro-electronics, IT, telecoms, engineering, biotech and energy, and will host workshops, commission research projects and incubate startups. Tech startup hubs like Dreamplex are also emerging in the capital, while the coastal city of Da Nang is one of only 33 cities worldwide to receive IBM’s ‘Smarter Cities Challenge’ grant to improve infrastructure. Exploring the rise of Cambodia and Vietnam in the global economy is fascinating stuff but a journey into the region’s cultural history will pay dividends, too. Phnom Penh’s glorious Royal Palace and Silver Pagoda (Wat Preah Keo Morokat) are itinerary essentials. The Palace serves as the King’s residence, with the pagoda acting as a venue for royal ceremonies and home to a priceless collection of Buddhist and other historical objects. Whether you are an MBA joining your class on your next international trek or an entrepreneur looking for the optimal environment to start a business – innovation tours can be extremely valuable in providing insight and knowledge into the world’s business and innovation ecosystems. Our innovation immersions will involve planned visits to a series of notables companies and academic lectures, pitch events, guided tours and conferences with panel discussions. The problem is, these innovation ecosystems are extremely complex and their structure are not easy to grasp. To get at their true essence, it is paramount to go beyond appearances and delve deep into these complex environments by constantly observing, questioning and listening. Visible activities such as start-up incubators and angel investor meetings merely provide detail to the outer layer and more obvious aspects of the ecosystem. To gain vital insight deep into the core of these ecosystem and understand the real drivers of entrepreneurship, a focus on the subtle elements is needed. For example, an innovation tour to South Korea would benefit greatly from a visit to a military camp to observe young South Koreans undergoing military exercises. With military service being mandatory in South Korea, our innovation programme will give precious insight to the culture and mindsets of the people there. Entrepreneurs alone do not reflect the whole entrepreneurship ecosystem. Researchers, investors, non-profits and government officials are just a few of the actors that help make up the network within the ecosystem. Focusing on different actors will help you understand the different motives for innovation in the ecosystem. Look for the conflict and collaboration between these actors and revel in it, not only will it give you a broader view of the whole landscape but will also directly reveal their entrepreneurship culture. Optimizing the value and knowledge you gain from your innovation immersions requires a degree of susceptibility and inquisitiveness from your part. Innovation tours are not a place for re-active learning – you must be pro-active. As Einstein once said: “the important thing is to not stop questioning. Curiosity has its own reason for existing”. So be curious and be engaged. The responsibility lies on to you have the desire to unearth information from all angles which will be crucial to your quest in understanding these complex entrepreneurship and innovation ecosystems. Thrilling and exciting, yet mysterious and impenetrable, Russia has long been a place of enormous economic opportunities despite the ongoing political debates and financial risks. The sixth largest economy in the world with 99% literacy rate, 200 different ethnicities, 30% of world’s natural resources and growing investment portfolio, Russia attracts further attention to two major cities: Moscow – the capital, and Saint Petersburg – the unofficial cultural capital. Moscow contributes 20% of state GNP and hosts most of financial, retail and trade headquarters. Around 300 banks and 7,000 MNCs and foreign representatives position themselves in Moscow. Due to its strategic location, an abundance of qualified cheap labor and R&D innovation facilities, Moscow and its region has become an important industrial complex for aviation such as Aeroflot and energy plants including Gazprom and Lukoil. Another reason to visit Moscow is the Russian alternative to Silicon Valley – Skolkovo Cluster – a massive accelerator with 23,000 sqm of lab, factory and office space. Moscow is a city booming with energy and waiting to be explored. Saint Petersburg, known as the northern capital, is an important industrial and transport hub for the entire country. It hosts some of the biggest state corporations such as Gazprom Oil as well as world famous power turbines manufactories such as LMZ. As a transport corridor, the city connects Baltic and Nordic Europe to Russia as well as all the vital Arctic production to country center. Mother City to Russian president and the major political party, the city is full of lobbyists that influence essential public policy. Due to the concentration of political power and interest, St. Petersburg hosts infamous International Economic Forum every June where lobbyists and businesses from all over the world come together to learn more about Russian trade and investment opportunities. One of Russia's trademarks all over the world is vodka, and St. Petersburg's distilleries offer brands ranging from the oldest one, LIVIZ, to the young success, the Russian Standard Vodka exported to over 70 countries.